This time of the year, my friends and family are sharing their New Year’s resolutions. One resolution comes up again and again: to eat better. But in our food environment, eating healthy is like trudging through deep snow—it’s exhausting. Think about where you spend your day: at work, commuting, running errands, home, and going out to eat. Unhealthy food and drinks are everywhere, constantly nudging us to eat more. This is no accident. 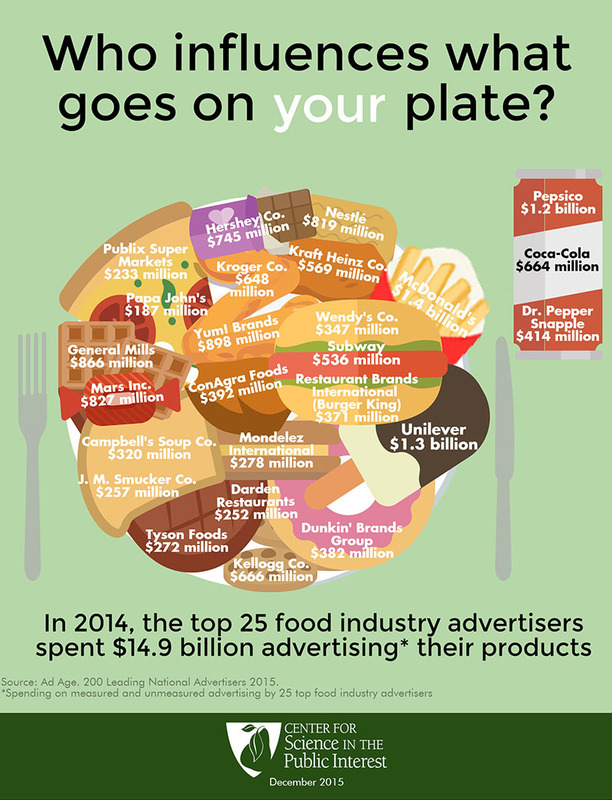 The food and beverage industry spends billions of dollars on marketing. Their tricks and traps can even be as subtle as the availability and placement of unhealthy fare in the grocery store. It’s no wonder that by February, a lot of our better intentions are tossed aside. So this year, we wondered about simplifying the task. Rather than adopting a whole new diet, we are considering—and asking others to consider—a simple swap: replacing soda and sugary drinks with seltzer or water. Focusing on this change simplifies the task of being more healthy and could significantly impact overall health. A single 20-ounce bottle of soda typically contains more than 60 grams of added sugar—health experts recommend people keep their intake to 50 grams or less per day. It’s not just soda that delivers sugar—sports drinks, energy drinks, and sweetened teas and coffee also can contain a lot of added sugars. Added sugars (including honey and high-fructose corn syrup) are linked to an increased risk of excess body weight, obesity, type 2 diabetes, and heart disease. Unlike foods that contain natural sugars, like fruits and dairy products, soda and other sugary drinks deliver little or no nutritional benefit. And there are refreshing alternatives. If you’re craving bubbles, seltzer options abound. For those who need a pick-me-up, coffee and tea can be enjoyed hot or iced and are available lightly sweetened (it’s a good rule of thumb to choose beverages with less than 10 grams of added sugar). And of course, there is water. The best way to stick with any resolution is to have support. Ask a co-worker or friend to cut back on sugary drinks with you, or ask your employer to create a healthier environment by taking the Healthy Meeting Pledge, including nixing sugar sweetened drinks at meetings. If you’re looking for other dietary improvements, other simple and actionable changes are to make sure that half your plate is fruits and vegetables, or to switch refined grains with whole grains. No matter what you decide to prioritize, I, on behalf of the Center for Science in the Public Interest, wish you a happy and healthy year and the support you need to make all your resolutions a reality. What about artificial sugar drinks? I wish this article would address how bad those are for people. I'm trying to get my husband to get on board with cutting them out. I quit drinking stuff like that over 13 years ago. It's been just fine.